The ability to retain the right people is the product of many factors, but it starts with formal onboarding—the process of acclimating new hires to an organization. Research finds that when resources are invested in a formal onboarding process, organizations benefit. However, simply committing to onboarding doesn’t guarantee a high retention rate. Organizations are most effective when they approach onboarding strategically, and avoid these five mistakes. So here’s the thing: onboarding is not orientation. Orientation may be a part of onboarding, but onboarding is much more than an afternoon of general introductions. Rather, onboarding is meant to be a cumulative, ongoing experience of tasks, meetings, and resources that new hires are immersed in during their first few weeks on the job. When onboarding is done well, new hires are equipped with the knowledge, skills, and behaviors they need to be successful from the start. There’s no question that hiring a new employee involves paperwork. Employers need W-4s, I-9s, account routing information…the list can go on and on. However, when employers ask new hires to complete this paperwork manually on their first day, it sends a lackluster welcome that can dampen enthusiasm and expend valuable time. That’s why organizations increasingly recognize that replacing manual paperwork with electronic forms, assigned to new hires before their start day, is the way to go. New hires can complete and submit these forms to their online employee onboarding system, which companies can then collect and file in an organized database. Speaking of moving away from manual processes…integrating automation throughout the onboarding process also makes a lot of sense. Why? It can save time, cut costs, and help new hires be more successful. With an automated onboarding process, managers and HR teams save valuable time that otherwise would have been spent on the administrative tasks associated with new hire set up. This includes asking IT to prepare the new hire’s laptop, coordinating with the facilities office for desk set up, connecting with the payroll department, etc. An automated system can deploy each of these tasks to various internal teams with assigned due dates, ensuring new hires are always greeted with the resources they need to get right to work. Onboarding is most effective when it’s tailored to a new hire’s specific role. 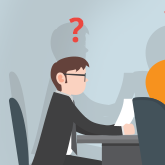 New hires want to know how they—as an individual in an individual role—can be successful. This means they need to understand their impact on the company’s overall goals and strategies. They also need to be familiar with the departmental teams and processes that will affect their workflow. Most importantly, they need an individualized set of objectives: clear, tangible benchmarks they can work toward. Most new hires want to impress; harness that good will by serving up personalized expectations and objectives. If you have a formal onboarding process, how effective is it? What’s your definition of effective? In today’s age of data analytics, companies have come to measure the performance of nearly every business process—onboarding should be no different. When onboarding key performance indicators (KPIs) are tracked and evaluated, companies gain valuable insight into information that can improve returns on investment. KPIs like retention rates, a hiring manger’s onboarding success rate, new hire error rates, or the time it takes to complete each stage of the onboarding process are all key metrics to measure. The reality is that about 40 percent of employees who quit their job do so within six months of starting the position. Let a formal, automated onboarding process be the reason your organization doesn’t lose those employees. Learn more about onboarding by checking out our “Top 5 Tips for Successful Onboarding of New Hires” article.